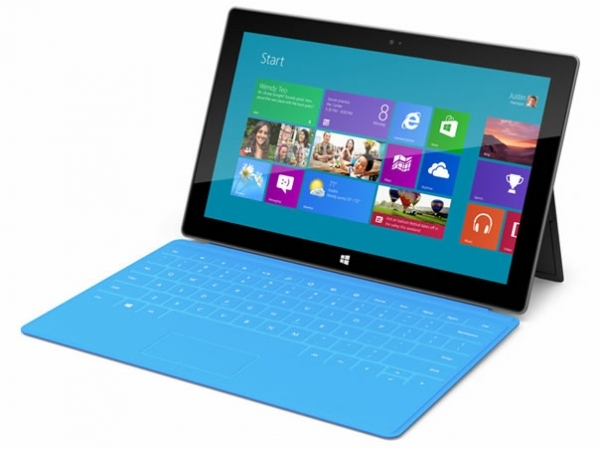 Microsoft today announced a range of Surface tablets running on the upcoming Windows 8 operating system. No doubt some of you have read about it as it has been covered by every news site and blogs (sorry). There will be two version of Microsoft Surface tablets, one that runs on ARM processor and Windows 8 RT (Runtime), and the other an Intel-powered Windows 8 Pro tablet. 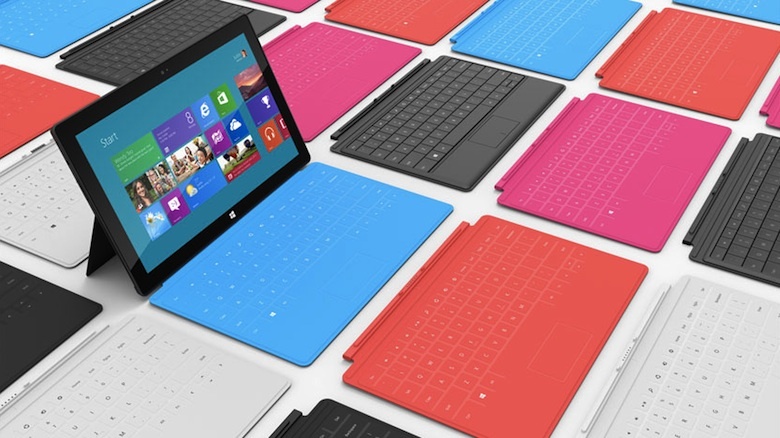 The Windows 8 RT Surface tablet will be powered by an NVIDIA Tegra-based ARM chipset. It will be available with either 32 or 64GB capacity and comes with a 10.6" HD touch panel. Microsoft has not announced pricing or availability other than it will be priced similarly to other comparable Windows 8 RT tablets at launch, sometime in September or October of this year. The more exciting of the two Surface tablets is the (likely to be more) expensive Windows 8 Pro tablet. Again, no pricing has been announced but it is fair to say that it will be priced similarly to an Ultrabook/Macbook Air laptop. Considering it is essentially an Ultrabook convertible tablet, I expect it to be so. Unlike the Surface RT, the Surface Pro will be powered by an all dancing, all singing Intel Ivy Bridge Core i5 processor, with capacities ranging from 64 to 128GB. It will weigh 903 grams, hefty compared to ARM-based tablets like the iPad and Windows 8 RT Surface, but also light when you compare to Ultrabooks or other x86 tablets like the ThinkPad X220. The 10.6" display is full HD, meaning it has a resolution of 1080p, and will be protected by GorillaGlass 2. It will be available three months after Windows 8 is launched, so expect it around January or February of 2013. Both devices will come with built-in stand. A detachable cover with built in multi-touch keyboard will also be made available. With the specs and facts out of the way, it is time for some wild speculations. I am going assume that the Surface RT tablet will be powered by either a Tegra 3 4-PLUS-1 SoC or newer next generation Cortex A15-based Tegra. I certainly hope it would be the latter or will be slightly disappointed that Microsoft has not gone for the more modern Qualcomm's Krait-powered Snapdragon S4 rather than the now architecturally outdated Tegra 3. Price wise, I expect the Windows 8 RT tablet to start from £399 and the Windows 8 Pro slate to start from £699. This is effectively what I would be willing to pay personally for the base model of a tablet with similar specs, and is in line with my expectations on how each should be priced - depending on the built quality of course. Incidentally, a Macbook Air 11 with an Ivy Bridge Core i5 processor and 64GB storage costs £849. I suspect Microsoft has decided not to release a detailed spec sheet as well as pricing information as Autumn 2012 is still a long way away and anything can happen between now and then (it's an eternity in tech). I still live in hope that Microsoft will change the aspect ratio from 16:9 to 16:10 or even better, 4:3. It seems that only Apple and HP gets that 4:3 is the perfect aspect ratio for tablets. Still this is likely to be wishful thinking. As for accusations that Microsoft has essentially sidelined their OEM partners, well tough luck. Hardware partners haven't been exactly doing their bit what with undesirable Windows Phone 7 smarpthones (bar the Nokia Lumia 800 and certain HTC devices) and Windows 7 notebooks. Hopefully this will inspire OEMs to develop something a bit more compelling than the me-too products they have been dumping on the Android market. I am still waiting for Lenovo to announce a Windows 8 ThinkPad tablet product, and if this will spur them to make a better product then so be it. I am personally very optimistic and excited by Windows 8. 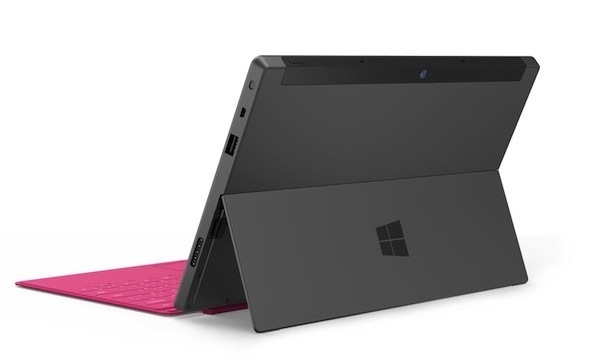 Microsoft's foray into dedicated tablet hardware is well overdue. With a design that not only looks original and exciting, all I can say is finally some exciting alternatives to some pretty mediocre Android tablets. It is about time a manufacturer steps up and be willing to offer a decent alternative to the mighty iPad. As the poster boys for Windows 8, I hope Microsoft doesn't deliberately cheapen the Surface tablets in order to get them on the market for cheap. They are OEMs whose business model revolves around just that. Microsoft would do well to set an example to OEMs via premium quality tablets aimed at promoting Redmond's swinging new OS to first adopters. Bring on Fall 2012! As far as I know it was confirmed already that the pro version sports a 16:9 ratio full HD. Now upon reading your article I've just found out that it used Gorilla glass which most of the high-end android phones are now using. I also write my own microsoft surface reviews, you can check it by the way, for more latest updates.